Inception reigned over the box office for its third weekend. Dinner for Schmucks was a healthy second, while new films Cats and Dogs: The Revenge of Kitty Galore and Charlie St Cloud still hit the box office top 10 despite not meeting expectations. Inception had another stellar weekend, bringing in $27.5 million to put the film’s total take up to $193.3 million. 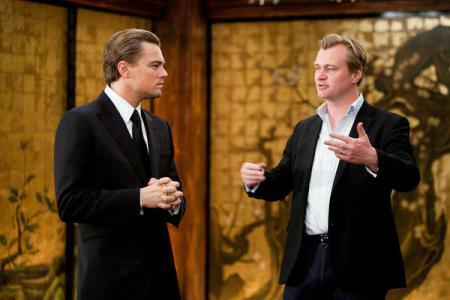 The Leonardo DiCaprio vehicle has also earned almost $200 million on the international circuit. Dinner for Schmucks was the only new release to enter the box office with a bang. It came in second, with $23.3 million. The Paul Rudd and Steve Carell flick may have been hoping for more action, but landed where expected. Angelina Jolie’s Salt brought in $19.3 million to come in third, bringing the spy drama to $70.8 million. Despicable Me continues to make a showing, coming in fourth with $15.5 million. Cats & Dogs: The Revenge of Kitty Galore didn’t stand up to the competition, but eked its way into the top five with $12.5 million. That take certainly won’t cover the 3D film’s $85 million price tag. Charlie St Cloud had a strong start, thanks to Zac Efron’s most devoted fans, but the rush of support didn’t last through the weekend. The romance came in sixth with a $12.1 million take. Toy Story 3 earned $5 million for seventh place, bringing its current total take to $389.7 million. Grown Ups came next with $4.5 million, followed by The Sorcerer’s Apprentice with $4.3 million. The Twilight Saga: Eclipse managed to stay in the top ten game for one more weekend. The $4 million take puts the total at $288.1 million. The Kids are All Right continues to build buzz and bring in decent numbers even though it’s only in 947 theaters. This weekend’s $3.4 million bumps it up to $9.5 million. Another Indie to watch is Get Low, starring Robert Duvall, Bill Murray and Sissy Spacek, which banked $90,900 in only four theaters. Two intriguing contenders enter the fray next weekend. Will Ferrell and Mark Wahlberg get kooky in the action comedy The Other Guys, while Step Up 3-D is ready to get its dance on for a whole different audience.